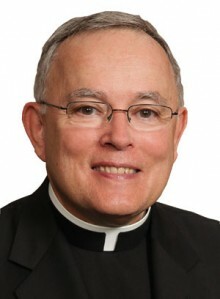 This week’s column is adapted from Archbishop Chaput’s Aug. 28 comments to the national Religion Newswriters Association. He took part in a panel on the impending papal visit to the United States sponsored by the Knights of Columbus. What do we hope Pope Francis will take away from his September visit to Philadelphia? I hope he realizes that American Catholics in general, and Philadelphia Catholics in a very special way, love and support him wholeheartedly. I hope he sees that there’s tremendous good in our country, and a lot of it began here in Philadelphia, where our nation was born. I hope he sees how deeply shaped we are – as a city and as a people – by the immigrant experience. I hope he sees that the Church here is alive and eager for a new spirit of life. I also hope he sees the gravity of the challenges we face in advancing a Christian approach to family life, marriage, human sexuality and religious freedom. And I hope he leaves with a sense of how the American Church really conducts her mission. What do I mean by that last sentence? Critics sometimes claim that America’s bishops talk too much about issues like abortion and religious freedom while they overlook the poor. And of course we do talk about those issues, and we’ll continue to do so – vigorously, and for as long as it takes – because the right to life and religious liberty are foundational to human dignity. Without the right to life, all other human rights are compromised. But consider this: In Philadelphia we spend less than $200,000 a year on the archdiocesan office that handles sanctity of life, family and laity issues. It has one full time employee. Most of our specifically “pro-life” work is done by volunteers, and at the parish level. In comparison, we spend more than 4.2 million privately donated archdiocesan dollars each year — every year — on social services for the poor, the homeless, the disabled, troubled youths, battered women, immigration counseling, food pantries and nutritional programs. And we manage another $100 million in public funding for the same or similar efforts. We have 1,600 full-time employees spread across these Catholic social ministries doing the works of mercy — and fewer than 200 of them are involved in parenting, family and pregnancy support services. When Francis was an archbishop in Buenos Aires, Argentine political leaders reviled him publicly as “the leader of the opposition.” When he defended Church teaching on issues like sexuality and marriage, they accused him of conducting “an inquisition.” He wrote about his frustration with that ugly government and media narrative in his 2010 book, On Heaven and Earth. It’s worth taking to heart. So I hope that as he flies home on September 27, the Holy Father will understand that American Catholics share every ounce of his passion for Christian service and human dignity – beginning with the unborn child, but not ending there; including the poor and the immigrant, but reaching from conception to natural death … and confirming that the “joy of the Gospel” comes from a Gospel of Life. I think our bishops -and the rest of us- can learn much from Pope Francis, too. Pope Francis’ great appeal to Catholics world-wide is his ability to connect with suffering people from all walks of life. We see time and time again his empathy for people in pain. I think its that empathy that shapes how he says we should treat other people, and, because people sees he cares about their problems and suffering, it openness their hearts to what he has to say. If we were all like Pope Francis, the world would be a much better place.